Personal credit cards for business use are great for startup companies that might not qualify for business credit cards. Some personal cards offer rewards or features that align with your business, like free balance transfers. The best cards offer introductory rewards of $150+ and ongoing rewards at least 5% cash back or five points. We looked for credit cards that offer a range of features that could benefit business owners, like low fees and big introductory and ongoing rewards. The best personal small business credit cards offer introductory 0% APR financing for up to 18 months and introductory rewards worth up to $750. Although these are personal credit cards for business use, you should still keep your personal expenses separate from your business expenses. Annual fee – How much it costs to own a card. We found ranges of $0 to $550, but cards on this list offer rewards and perks worth at least as much as their annual fee. APR – How much financing credit cards with high limits costs. APRs range from 0% on charge cards that must be paid off monthly to a variable rate of 27.74%. Balance transfer fee – How much you’ll be charged to transfer a credit card balance from one card to another. Fees on this list range from 0% to 5%. Introductory rewards – What you’ll earn for reaching minimum spending requirements within several months of card ownership. Cards on this list offer rewards worth up to $750 on required spending of as much as $5,000 within the first three months. Ongoing rewards – The points or cash back you’ll earn by using your business card. Cards on our list offer either a flat rate on all spending up to 2% or tiered rewards worth at least 5% on certain bonus categories. Additional benefits – Free perks that may increase the value of the card, like airport lounge access, rental car insurance, and travel credits. Credit score – The credit score you’ll need to qualify. Most cards on this list require a credit score of at least 680 to qualify, although some of the more premium cards may require a score of at least 720. After examining the qualities firms should look for, we named the Discover it Cash Back the best overall personal credit card for business use. The issuer will double your cash-back earnings at the end of your first year. The card also offers one of the lowest ongoing APRs on our list (14.24%) and a lengthy 14-month, 0% APR introductory offer. Discover it Cash Back tops our list of the best personal credit cards for small business owners. It is best for owners looking for a combination of great benefits: a 14-month, 0% introductory APR offer on purchases and balance transfers, low ongoing APR of 14.24% to 25.24% (depending on your credit history), and a unique, first-year doubling of all cash back earned. Only Chase Slate and Citi Double Cash Card have longer introductory offers. The introductory APR is just one month less than what Chase Slate offers. Citi Double Cash Card offers an 18-month introductory offer for balance transfers. It offers no interest-free period on purchases. Discover it Cash back has the lowest possible ongoing APR among credit cards on our list. Discover guarantees that during the first year, with its unusual introductory reward offering to match all your first-year cash back, you’ll earn at least 2% cash back on all spending. That’s identical to what the Citi Double Cash Card offers. Discover will match all of the cash back you earned at the end of your first year, automatically. 5% cash back (doubled the first year) on rotating quarterly categories, like gas stations, grocery stores, restaurants, and Amazon.com, on up to $1,500 in spending each quarter. Earn unlimited 1% cash back (doubled the first year) on all other purchases. Since the 5% bonus is capped at $1,500 in quarterly spending, the most you can earn is $75 a quarter on rotating categories ($150 during the first year with the cash-back match). The other cards with bonus categories on our list all offer higher spending caps. American Express Blue Cash Preferred, for example, pays 6% on spending at U.S. grocery stores, capped at $6,000 per year. Discover does not offer many of the features like purchase protection and extended warranty protection that are standard on cards like the US Bank Cash+ Visa Signature Card. It’s unique features include an ability to instantly freeze your account and a late fee waiver, which is a nice perk if you forget to pay. Account lock: Freeze your account in seconds to prevent new purchases with an on/off switch available on both the mobile app and website. Late fee waiver: You won’t pay a late fee the first time your payment is late. Late fees are up to $37 thereafter. Discover it Cash Back requires you to register your card each quarter to earn bonus rewards, something other cards don’t require. You’ll also only earn 5% cash back on up to $1,500 in spending, a cap no other card on our list has. Online reviews for Discover it Cash Back are very positive. Users say they enjoy the cash-back rewards, the low APRs, and the hassle-free customer service. Some complain that Discover isn’t as widely accepted as Visa. (Discover actually has more worldwide acceptance.) Others say they’re unhappy that some stores, like Walmart, are restricted from the bonus category offers. Apply online directly with Discover for the Discover it Cash Back Card. You may get an instant response, and your card should arrive in the mail within seven to 10 business days. American Express Blue Cash Preferred is best for businesses that have a big budget for groceries and gas, like restaurant owners. This card pays 6% cash back at U.S. supermarkets on up to $6,000 in spending annually (then 1%), and 3% cash back at U.S. gas stations. No other card on our list offers better returns on either gas or groceries. The ongoing APR is 15.24% to 26.24%. Among the credit cards on our list, only the Discover it Cash Back has a lower possible ongoing APR of 14.24%. The 12 months of interest-free financing is several months shorter than what Discover it Cash Back, Chase Freedom Unlimited, Citi Double Cash, and Chase Slate offer. This card’s rewards are focused on two spending categories: grocery shopping and gas purchases. All other purchases earn 1% cash back. If you spend more on dining out than you do on supermarket spending, a card like Chase Sapphire Preferred® may be a better fit. $200 cash back after you spend $1,000 within the first three months. The introductory rewards are the lowest among cards on our list that charge an annual fee. Chase Sapphire Preferred®, for example, offers 50,000 bonus points, worth up to $500. 6% cash back at U.S. supermarkets on up to $6,000 in spending annually (then 1%). Since this card only covers two spending categories with its bonus rewards, you may want a second credit card for everyday spending because the 1% cash back here is fairly low. The Citi Double Cash Card pays 2% cash back on all spending. American Express offers some fairly standard additional features, like extended warranty and purchase protection. Travel accident insurance: American Express will cover you for up to $100,000 if death or dismemberment occurs while on a trip you paid for with your card. The extended warranty protection is identical to what the Citi Double Cash Card offers. Purchase protection on the American Express Blue Cash Preferred is a bit more robust than you’ll find on Chase Slate, which puts a $500 cap on claims. Rewards credit cards that have bonus categories tend to have more than two that earn top rewards, like the US Bank Cash+ Visa Signature Card, which features three bonus categories. American Express Blue Cash Preferred used to have a third category as well, but the issuer recently removed a 3% cash-back reward on department store spending. Online user reviews are mostly positive, with satisfied cardholders saying they use no other card for gas or grocery spending. They also value the simple redemption options. Cardholders can either receive a statement credit or use the cash back to buy gift cards. Some cardholders expressed disappointment that not all stores that sell groceries—including Walmart and Target—qualify for the 6% reward. 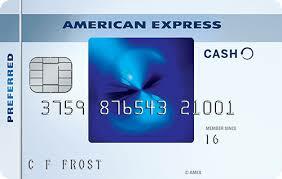 Apply for American Express Blue Cash Preferred directly on the issuer’s website. You may be approved instantly. Your new card will be delivered within seven to 10 business days. The US Bank Cash+ Visa Signature Card is among the best personal credit cards for small business owners who want more flexibility in choosing their bonus categories. You can choose the two categories (from a list of 12) that will earn 5% cash back on up to $2,000 in spending each quarter. No other card on our list offers such flexibility. US Bank charges an ongoing APR of 16.24% to 25.74%. Introductory APR: 0% introductory APR for the first 12 billing cycles on any balances transferred within 60 days from account opening. There is no introductory APR on purchases. The introductory APR is a bit shorter than the 14 months Discover It Cash Back offers. Ongoing APR is considerably higher than the Discover card, which offers interest rates as low as 14.24%. US Bank offers the most flexible rewards of any card on our list, allowing users to choose two categories each quarter that will earn 5% (from a list of 12) and one category that will earn 2%. 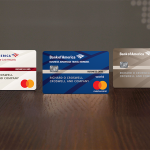 Among the cards that offer introductory rewards, the US Bank Cash+ Visa Signature Card offers the smallest bonus (tied with Chase Freedom Unlimited), but also has the lowest spending requirement (also tied with Freedom Unlimited). $150 cash bonus after making $500 in eligible net purchases within the first 90 days of account opening. 5% cash back on your first $2,000 in combined eligible net purchases each quarter on two categories you choose from a group of 12. 2% cash back on one category that you choose from gas stations, restaurants, and grocery stores. 1% cash back on all other spending. The 12 spending categories that could earn 5% cash back include home utilities, ground transportation, select clothing stores, wireless phone service providers, electronics stores, car rentals, gyms and fitness centers, fast food, sporting goods stores, department stores, furniture stores, and movie theaters. There are no cards on our list that have this diverse a selection of potential bonus categories. In fact, only the Chase Sapphire Preferred® and the Chase Sapphire Reserve® offer any of these choices as bonus categories. The two Chase cards offer bonus points on transportation and dining. Extended warranty: US Bank will double the original manufacturer’s warranty up to one additional year on warranties of three years or less. Coverage is limited to $10,000 per claim. Purchase protection: The issuer will repair, replace, or reimburse you for an item purchased with the card that was damaged or stolen within 90 days of purchase. Coverage is limited to $500 per claim and $50,000 per account each year. Auto rental collision damage waiver: Coverage is primary—meaning it replaces any coverage your personal insurance might offer—in case your rental is lost or stolen while you’re traveling. Free car rental insurance is only available on two other cards on our list, Capital One Venture and Chase Sapphire Preferred®. The extended warranty and purchase protections are fairly common benefits, but the US Bank Cash+ Visa Signature Card offers fewer years of warranty coverage and less per-claim coverage on purchase protection than does the American Express Blue Cash Preferred. US Bank says the bonus categories could change from quarter to quarter. That means the category that propelled you to sign up for the card may not always be available. You’ll also have to register your 5% and 2% categories each quarter or you’ll earn just 1% on all spending. Online user reviews are mostly positive. Cardholders say they enjoy being able to pick the 5% rewards categories and have found customer service to be responsive. Some users complain about having to choose bonus categories each quarter, especially if they want the same categories from one quarter to the next. 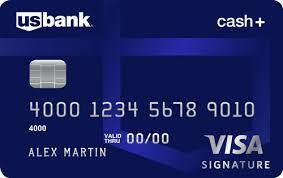 Apply for the US Bank Cash+ Visa Signature Card directly on the issuer’s website. You may be approved instantly. Your new card will be delivered within seven to 10 business days. The Capital One Venture is best for businesses that use hotels frequently, as it pays 10x miles on all spending at Hotels.com. No other credit card on our list offers nearly the return on hotel stays. Capital One Venture comes with a variable APR of 17.99% to 25.24%, which is the highest on our list of best credit cards for business owners. Balance transfer fee: 3% of the amount of each transferred balance that posts to your account at a promotional APR that we may offer you. None for balances transferred at the Transfer APR. Since this card offers no introductory APR, this is not a great card to own if you need to carry a balance. If you need to carry a balance or make a balance transfer, choose Chase Slate, which comes with 0% introductory APR for 15 months on purchases and balance transfers, and charges no fee on balance transfers. Like the Citi Double Cash, Capital One Venture offers a 2% return on all purchases, with its 2x miles per dollar spent. Venture takes one extra giant rewards leap by offering 10x miles when booking on Hotels.com. Compare that with the American Express Platinum, which offers 5x points on hotels booked through the issuer. 50,000 bonus miles when you spend $3,000 on purchases within the first three months after account opening. The introductory rewards on this card are potentially the most lucrative on our list, equal in value to the redemption value of the Chase Sapphire Reserve® when that card’s miles are used for travel. 10x miles on hotel stays booked through hotels.com/venture. The Capital One Venture card offers the best flat-rate travel rewards on our list, giving you 2x miles on every purchase. That’s not quite as good as the 3x points you’d earn by paying for your airfare with the Chase Sapphire Reserve®, but that card comes with a much higher $450 annual fee, and pays just 1x points on all non-bonus category spending. These benefits are fairly standard, although the length of coverage on purchase protection is less than the 120 days some other cards, like the Chase Slate, offer. Your card activity will be reported to consumer credit bureaus, meaning both on-time payment activity and delinquencies would impact your personal credit score. Your card activity will not be reported to business credit bureaus, meaning you have no opportunity to either establish or improve your business credit score. The ongoing APR is also higher than any other card on our list. If you plan to carry a balance, consider a card with a low interest rate, like the Discover it Cash Back (a variable 13.99% to 24.99%). Online user reviews are mostly positive. Cardholders with positive experiences say they love the rewards return and appreciate how quickly they received their introductory rewards after meeting the spending requirement. Unfavorable reviewers say they’ve had customer service problems, including lengthy delays receiving the card and unresolved disputes over amounts owed. Apply for the Capital One Venture directly on the issuer’s website. You may be approved instantly. Your new card will be delivered within seven to 10 business days. Chase Freedom Unlimited is best for owners who want to finance purchases and balance transfers while also collecting nice cash-back rewards. Enjoy 0% financing on purchases and balances transfers for 15 months while still collecting 1.5% rewards on all spending. Ongoing APR is as low as 17.24%, based on your credit history. The ongoing APR on Chase Freedom Unlimited can be higher than average. Choose a card like the Discover it Cash Back (14.24% to 25.24%) if you plan to carry a balance. Chase Freedom Unlimited pays 1.5% cash back on all spending. 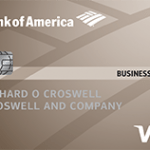 It offers no bonus categories with higher rewards like the US Bank Cash+ Visa Signature Card. Among the cards that offer introductory rewards, Chase Freedom Unlimited offers the smallest bonus (tied with US Bank Cash+ Visa Signature Card), but also has the lowest spending requirement (also tied with US Bank Cash+ Visa Signature Card). $150 cash back after you spend $500 within the first three months after account opening. The low introductory rewards may be a turnoff for some business owners. Choose the Chase Sapphire Preferred® if you’re looking for a higher introductory bonus (50,000 Ultimate Reward points after you spend $4,000 within the first three months). This is lower than the 2% cash back return the Citi Double Cash card offers. It also charges no annual fee, but offers no introductory bonus, either. Purchase protection: Covers your new purchases for 120 days against damage or theft up to $500 per claim and $50,000 per account. Extended warranty: Extends the time period of the U.S. manufacturer’s warranty by an additional year on eligible warranties of three years or less. These benefits are fairly standard, although the length of coverage on purchase protection is more than the 90 days the Capital One Venture offers. Chase Freedom Unlimited offers 1.5% cash back on all spending, less than other fixed-rate cards on our list, including the Citi Double Cash Card and the Capital One Venture. There’s also no opportunity to earn bonus rewards like with the American Express Blue Cash Preferred, which pays 6% cash back on spending at U.S. supermarkets up to $6,000 in spending annually. Online reviews for the Chase Freedom Unlimited are mostly positive. Users love that the card comes with no annual fee and offers a streamlined, simple rewards program. Some users do, however, compare the cards unfavorably to other rewards credit cards that offer a 2% return on all spending. Many of those cards charge an annual fee. Apply for Chase Freedom Unlimited online with the issuer. You may receive notice immediately whether you qualify. Expect your card to arrive in the mail within seven to 10 business days. Note: The information related to the Chase Freedom Unlimited Credit Card has been collected by fitsmallbusiness.com and has not been reviewed or provided by the issuer of this card. 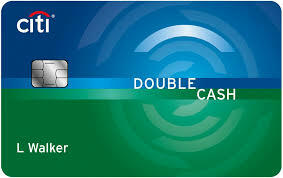 The Citi Double Cash card is best for owners that want to earn 2% cash back on all spending. That return is tied with the Capital One Venture card, although that card’s rewards come in the form of miles. Ongoing APR is 15.74% to 25.74%, which is about average for the cards on this list. Balance transfer fee: $5 or 3% of the amount transferred, whichever is higher. The introductory APR on balance transfers is three months longer than what American Express Blue Cash Preferred offers, but there is no similar no-interest break on purchases. 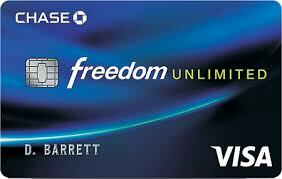 The balance transfer fee is lower than the 5% charged by the Chase Freedom Unlimited card. Citi Double Cash is one of two credit cards on our list (Chase Slate) that offers no introductory rewards. It pays 2% cash back on all spending, which is the highest-fixed rate reward on our list. Citi Double Cash does not offer introductory rewards. Others that charge no annual fee offer introductory rewards, such as the Chase Freedom Unlimited, which offers a $150 cash bonus. 1% cash back on all purchases and an additional 1% as you pay for those purchases. This card isn’t a straight 2% card. You’ll receive credit for the second 1% of your rewards only after you pay your bill. Pay your bill in full and on time to receive the full 2% without paying any interest charges. Citi Double Cash offers some unique benefits other cards on our list don’t offer, like price protection and a break on your first late fee. It also offers extended warranty protection, which is more common. Price Rewind: Citi’s price protection benefit will refund the difference (up to $200 per item up to $1,000 per year) if something you purchased goes on sale within 60 days of purchase. You’ll have to alert Citi to start tracking the price for you after purchase. The extended warranty protection is even slightly better than the excellent coverage the American Express Blue Cash Preferred offers. That card will match the length of the original manufacturer’s warranty if it’s less than two years and will provide an additional two years only if the original manufacturer’s warranty is between two and five years. The lack of an introductory reward is this card’s biggest flaw—and one of the primary reasons why we didn’t name it the best personal credit card for business use. Long term, though, this card may have more value than others because of its 2% return on all spending. Citi Double Cash earns mostly positive online reviews from cardholders who appreciate the 2% cash back on all spending—a high rate for a card that charges no annual fee—and that the first late fee is forgiven. Negative reviews tend to focus on card users having trouble with customer service. Apply for the Citi Double Cash online. You may be approved instantly. Your card should arrive in the mail within seven to 10 business days after approval. Chase Slate is best for small business owners who want to transfer a high-interest credit card balance without paying a balance transfer fee. It’s the only card on our list that offers free balance transfers within 60 days of account opening. Ongoing APR is as low as 17.24%, based on your credit history. This may be the cheapest card for balance transfers when you factor in transfer fees. Pay no fee when you transfer a balance with 60 days of account opening. Compare that with the American Express Blue Cash Preferred, which charges 3%. Pay your balance in full by the end of the introductory period, though, because the ongoing APR is higher than what other cards charge. The American Express Blue Cash Preferred offers an ongoing APR as low as 15.24%. 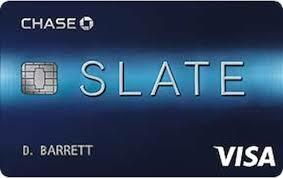 Chase Slate is the only card on our list that offers no introductory or ongoing rewards. We ranked other cards higher on our list because they offer introductory rewards as high as $750 and ongoing rewards of 5% or more. Chase Slate benefits include purchase protection and no penalty rate. A free FICO score: The issuer will update this monthly and monitor the reasons why your score may be up or down. Purchase protection: Covers your purchases for 120 days against theft and damage up to $500 per claim and $50,000 per account per year. No penalty APR: If you miss a payment, the issuer won’t hike your APR. The purchase protection coverage is similar to what the Chase Freedom Unlimited offers, and is better than the 90-day protection offered by the Capital One Venture. No other card on our list waives the penalty APR. This card offers no introductory or ongoing rewards. Every other card on our list offers at least ongoing rewards. This is a card with a singular purpose—to get you out of debt as cheaply as possible. It charges no interest on balance transfers for 15 months and no balance transfer fee on transfers made within 60 days of account opening. Chase Slate earns average online reviews among users. Some complain about getting rejected for the card despite having an above-average credit score. Others say the APR is too high, particularly for someone with a prime credit rating. If you have a credit score of 700 or better, you should be able to find a card that charges an ongoing rate lower than what Chase Slate offers. Apply for the Chase Slate online at the issuer’s website. You may learn of your approval instantly and receive your card in the mail within seven to 10 business days. Chase Sapphire Preferred® is best for businesses that want to earn $625+ in introductory rewards. No other card on our list has an introductory offer this high without having to spend more money to earn it. Ongoing APR is 18.24% to 25.24%, based on your credit history. The annual fee on this card is identical to what you’d pay on the Capital One Venture, which pays 2x miles on all spending. It’s significantly lower than the $450 annual fee charged by Chase Sapphire Reserve®. You’ll earn 50,000 Ultimate Rewards points after spending $4,000 in the first three months of account opening. That’s the same introductory offer that the Chase Sapphire Reserve® offers, although that card charges a much higher $450 annual fee. Ongoing rewards focus on dining and travel, where you’ll receive 2x points per dollar. 50,000 Ultimate Rewards points when you spend $4,000 on purchases within the first three months after account opening. 2x points on travel and restaurant dining worldwide. The Chase Sapphire Preferred® has a lower return on travel and restaurant spending when compared with the Chase Sapphire Reserve® (3x), but since its points are worth 1.25 cents each when redeemed for travel through Chase, the card may prove more valuable than the Capital One Venture, which pays 2x points on all spending (redeemed at 1 cent apiece). Trip delay insurance: If your travel is delayed more than 12 hours or you require an overnight stay as a result of a delay, you’re covered for unreimbursed expenses, such as meals and lodging, up to $500. Trip cancellation/trip interruption insurance: Covers up to $10,000 per trip for pre-paid, nonrefundable travel expenses if your trip is cut short or interrupted by sickness or bad weather. You won’t receive the travel credit or TSA PreCheck reimbursement that the Chase Sapphire Reserve® offers, but you’ll also pay significantly less when it comes to an annual fee, $95 versus $450. Only the Chase Sapphire Reserve® offers trip delay and trip cancellation insurance. Chase Sapphire Preferred® doesn’t offer great returns in categories outside dining and travel. If your business budgets for big spending in other areas, you may want to consider a general rewards card like Citi Cash Back, which pays 2% on all spending. Online user reviews are generally are positive. Cardholders say they like the low annual fee in comparison to the rewards offered. Unfavorable reviewers say the APR of 18.24% to 25.24% is too high. The Discover it Cash Back card charges an APR as low as 14.24%, so consider whether you can pay off your card every month before applying for the Sapphire card. Apply for the Chase Sapphire Preferred® directly on the issuer’s website. You may be approved instantly. Your new card will be delivered within seven to 10 business days. 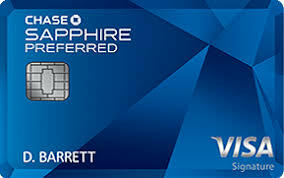 Note: The information related to the Chase Sapphire Preferred® Credit Card has been collected by fitsmallbusiness.com and has not been reviewed or provided by the issuer of this card. Chase Sapphire Reserve® is best for businesses with frequent travel—and we’re not just talking flights. This Chase card pays 3x points on all travel spending worldwide, including airfare, hotels, car rentals, trains, and tolls. American Express Platinum pays 5x points, but only on flights and hotels. Ongoing APR is as low as 18.24%. The only other card on our list that charges a higher annual fee than the Chase Sapphire Reserve® is the American Express Platinum ($550). The Business Platinum card offers better benefits, including exclusive access to Centurion lounges, but this Chase card could be a better deal for business owners who dine frequently, as it offers 3x Ultimate Rewards points on all restaurants. You’ll earn 50,000 Ultimate Rewards points after spending $4,000 in the first three months of account opening. That’s the same as the Chase Sapphire Preferred® offers. Ongoing rewards are focused on travel and restaurant dining, where you’ll earn 3x points. When redeemed for travel through the Chase portal, this introductory bonus is worth $750, or $250 more than the Capital One Venture Rewards card pays. No other card tops this introductory offer. 3x points on travel and restaurant dining worldwide. The Chase Sapphire Reserve® has a lower return on travel spending when compared with the American Express Platinum card (5x on flights and hotels), but the redemption value is boosted 1.5 times when used on the Chase travel portal. That means all travel spending is worth 4.5 cents per dollar. And Chase’s definition of travel is quite broad, meaning you’ll earn 3x points for airfare and for things like timeshares, taxis, and toll roads. Like the American Express Platinum, the Chase Sapphire Reserve offers several premium travel benefits, including airport lounge access and an annual travel credit. Airport lounge access: Enjoy access to more than 1,000 priority pass lounges worldwide for free prior to airline travel. Annual travel credit: You’ll receive a $300 annual travel credit that can be applied liberally toward your travel purchases. The travel credit is much easier to redeem on this card than on the American Express Platinum because Chase has a much more liberal definition of travel, which includes more than just baggage and incidental fees on airline travel. The American Express Platinum card is the only other card on our list that offers airport lounge access. 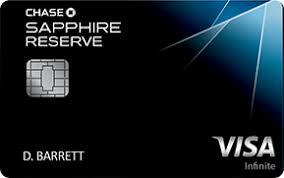 Chase Sapphire Reserve® has the second highest annual fee of any card on our list at $450 (American Express Platinum charges $550). This isn’t a good card if you can’t take advantage of the travel perks. Like the Chase Sapphire Preferred®, the Chase Sapphire Reserve® doesn’t offer great returns in categories outside dining and travel. Chase Sapphire Reserve® reviews are mostly positive. Cardholders with positive experiences say they can easily redeem awards and benefits that make the annual fee worthwhile. Unfavorable reviewers say the rewards and benefits don’t make up for the annual fee. This is true only if you don’t travel enough to take advantage of the travel credit lounge access. Apply for the Chase Sapphire Reserve® directly on the issuer’s website. You may be approved instantly. Your new card will be delivered within seven to 10 business days. Note: The information related to the Chase Sapphire Reserve® Credit Card has been collected by fitsmallbusiness.com and has not been reviewed or provided by the issuer of this card. 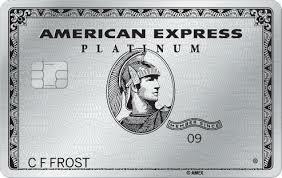 American Express Platinum is best for owners who fly regularly and stay overnight in hotels on business. It offers top travel perks that other cards just can’t compete against, including access to the American Express Global Lounge Collection, gold status membership at several car rental and hotel brands, and a $200 annual Uber credit. This card charges no APR because it’s a charge card that must be paid in full each month. The American Express Platinum card is a charge card, so you must pay it off every month. While there is no APR cost, you’ll only offset the annual fee cost if you use the card quite a bit to travel, and you’ll still have to pay a late penalty if you miss a payment (up to $38). The $550 annual fee you’ll pay is the highest among the cards on this list. But perks like free airport lounge access and reimbursement for Global Entry or TSA PreCheck airport screening programs means this card also carries more potential value than any other card on our list. The American Express Platinum card offers strong rewards for airplane travelers and business owners who frequently stay in hotels. You’ll earn five points per dollar spent on airfare purchased directly with airlines or through American Express Travel, and five points on hotels booked through American Express Travel. That’s two points more than Chase Sapphire Reserve® offers. The introductory rewards are worth $600 or more when redeemed for travel. 60,000 Membership Rewards points after making $5,000 in purchases in the first three months of card membership. Those points are worth $600+ when redeemed for travel. That offer falls a bit short of what the Chase Sapphire Reserve® pays. No other card on our list offers a better return on airfare or hotel purchases, but the Chase Sapphire Reserve® offers more opportunities to earn travel rewards, as it pays 3x points on a wide variety of travel spending, including ride-sharing services like Uber, campgrounds, and trains. The ongoing rewards alone probably aren’t enough to justify the $550 annual fee. The exceptional suite of benefits, including airport lounge access and other travel perks, though, more than make up for the annual fee if you own a business that can take advantage of them. Fine Hotels and Resorts program access: Book a stay at one of these hotels through American Express Travel and receive early check-in, a room upgrade if available, daily free breakfast, and a $100 credit for your stay. Hotel status: Elite status at a number of hotel chains. Uber credit: Earn up to $200 in annual Uber credits. Saks Fifth Avenue credit: Earn a $100 annual Saks Fifth Avenue credit. Chase Sapphire Reserve® also offers free lounge access, an airport screening credit, and a travel credit. But the full sweep of travel perks on the American Express Platinum—including the Uber credit, elite status at select hotels and car rental firms, and access to American Express lounges—is significantly better. There are no rewards for businesses that don’t spend a lot of time or money traveling. Other cards offer a better return on everyday spending, including the Citi Double Cash Card. Also, you’re required to pay your bill in full each month. Online reviews of the American Express Platinum card are excellent. Cardholders consider the Platinum card to be the best in its class, with tremendous rewards for flights, hotels, and other expenses. People who left a negative review of the American Express Platinum are not happy with the high annual fee. You can sign up for an American Express Platinum card by filling out an online application that only takes a few minutes. You could get a decision in as quickly as 30 seconds and be using your card within two to three days. Personal credit cards for business use are great options if you cannot qualify for a small business credit card or you like the rewards programs better on personal cards. But you have other options if personal credit cards don’t appeal to you, including business credit cards, prepaid business cards, and secured business credit cards. The best small business credit cards offer high introductory and ongoing rewards and low introductory and ongoing interest rates. Unlike with personal credit cards, your credit history on small business credit cards will be reported to the business credit bureaus. Visit the Fit Small Business Credit Card Marketplace to compare top business credit cards. The best business prepaid cards help manage employee expenses and have fewer qualifications than normal business credit cards. They’re also scalable, meaning you can easily add more cards as your number of employees increase. The best secured business credit cards charge low annual fees and offer APRs of 20% or less. A secured business credit card is backed by a deposit and acts like a normal business credit card. Business owners with poor credit or limited credit will find it easier to qualify for a secured credit card when compared to an ordinary business credit card. The best business credit cards for new businesses offer a mix of introductory rewards, low or no annual fees, and interest-free financing for at least a year on purchases and balance transfers. The best business credit cards for startups give entrepreneurs easier credit access to build their firms. The best cards offer low APRs, rewards tailored to growing businesses, and no annual fee. Personal credit cards for business use are ideal for startups that can’t yet qualify for a business credit card and owners who like the rewards options on personal credit cards. The best personal business credit cards offer a combination of excellent introductory and ongoing rewards, low introductory and ongoing APRs, and a host of additional benefits, like extended warranty protection. The Discover it Cash Back is the best personal credit card for business use. The issuer will double your cash-back earnings at the end of your first year. You’ll also receive a lengthy, 14-month, 0% introductory offer and a low ongoing APR, based on your credit history. Chase were always a favorita among my friends. Mostly due to the bonus points, if I’m not mistaken, there is another one from Chase that offers cash back. The American Express Blue offers the best cashback if that’s what matters. I’m not much of a traveler, so I would go for the AMEX Blue anytime! Thanks for the kind words! Keep reading!